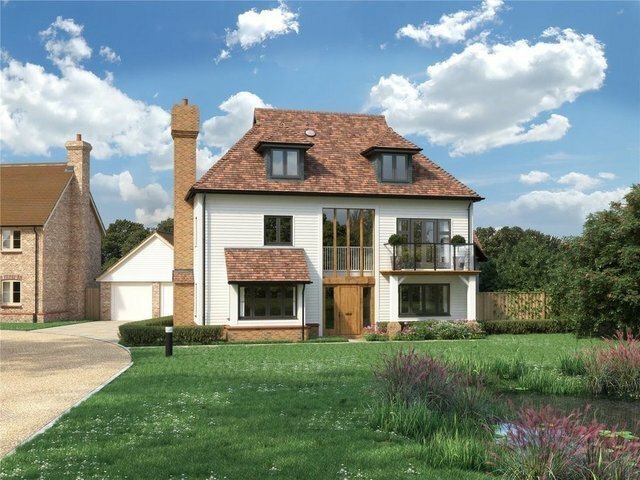 The Shellwood is a stunning brand new four bedroom detached house with the largest plot on the cherry tree lane development. The spacious kitchen/family/dining room has bi folding doors leading out onto the fully professionally landscaped garden. There is a drawing room with fireplace with wood burning stove.Upstairs, the master suite offers a unique dressing area and balcony overlooking the pond. There are three further bedrooms, including a second en suite on the top floor and a large multi purpose room.This property is a must view in a stunning setting. Predicted energy assessment: b rating* images are of a typical Millwood Designer Home. Outside benefits from a fully professionally landscaped front and rear garden, private driveway and double garage. An electric car charging point is also included.